The basil oil smells like the freshest basil. Great in Asian cooking (stirfries). 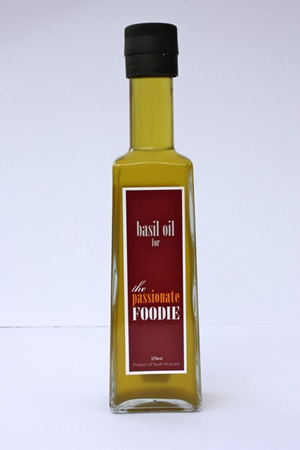 Use the oil as part of a salad dressing or as part of an olive oil based pasta dish with some speck, red onion, garlic, a hint of chilli, fresh tomato & basil. Then finished with some fresh grated parmesan & a few drops of lemon juice.